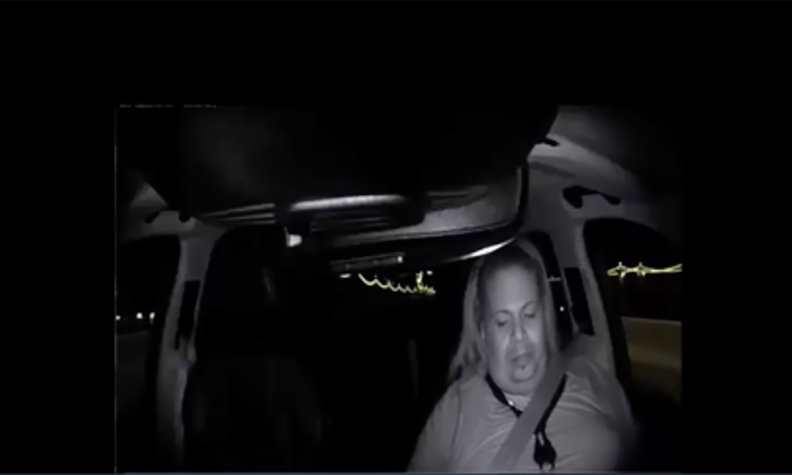 Uber safety driver Rafaela Vasquez is pictured looking down prior to the crash. SAN FRANCISCO -- Police in Tempe, Arizona said evidence showed the safety driver behind the wheel of a self-driving Uber was distracted and streaming a television show on her phone right up until about the time of a fatal accident in March, deeming the crash "entirely avoidable." A 318-page report from the Tempe Police Department, released on Thursday in response to a public records request, said the driver, Rafaela Vasquez, repeatedly looked down and not at the road, glancing up just a half second before the car hit 49-year-old Elaine Herzberg, who was crossing the street at night. Police obtained records from Hulu, an online service for streaming television shows and movies, which showed Vasquez's account was playing the television talent show "The Voice" the night of the crash for about 42 minutes, ending at 9:59 pm, which "coincides with the approximate time of the collision," the report says.